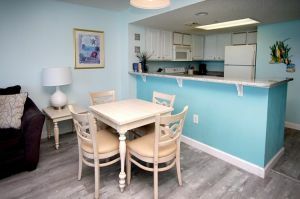 You will be naturally inspired at Baywatch II 1712 in the Crescent Beach section of North Myrtle Beach, South Carolina. 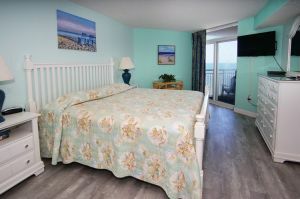 This oceanfront condo rental has two bedrooms and two baths, and one of them enjoys oceanfront balcony access. Open the balcony doors at this oceanfront condominium and bring the fresh air inside. An Ocean breeze, salt-scented air and the sound of crashing waves are natural features of this North Myrtle Beach vacation. 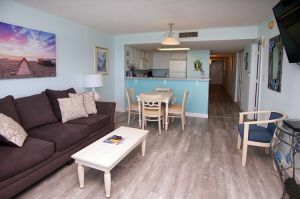 Bay Watch II 1712 is an oceanfront condominium that has everything you need for a remarkable vacation at the beach. 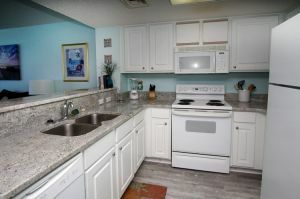 There is a kitchen in Bay Watch II 1712 and a washer/dryer. Relax in the Jacuzzi tub before going out to dinner or taking in a live show at a local theatre that is nearby this North Myrtle Beach resort. 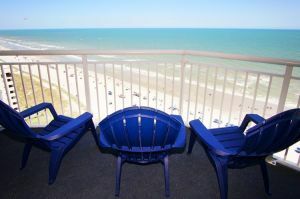 From the oceanfront balcony at Bay Watch II 1712, you can spy the sundecks at this oceanfront resort. All three are on the oceanfront and each one has something a little different from the other. Explore them all and swim in every swimming pool at Bay Watch Resort. There is an indoor pool and hot tub, along with a fitness center, game room and on-site restaurant at this North Myrtle Beach resort. 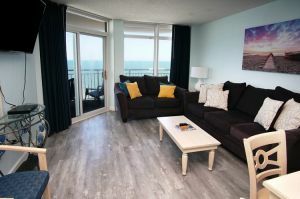 The beach is more than beautiful in North Myrtle Beach, South Carolina and Bay Watch II 1712 puts your family only steps away from the sandy shoreline. Take your towel to the beachfront and bask in the sunlight. 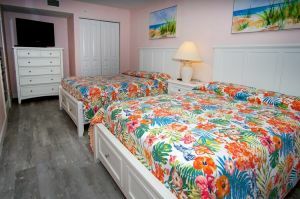 After spending the day getting a tan and finding stunning shells, get ready to go out on the town as there are many recreational opportunities, restaurants and nightlife hot spots close to this North Myrtle Beach resort. Departure Maid Service is Required.